This is a story about how a weeping willow gave me butterflies. Forgive me. I jest. The tree was an important landmark to my excitement however as it greeted me upon arrival to The Distillery District in Toronto where I hoped to see butterflies teasing figurative stories on Dominque Fortin's canvases. The gallery was glowing with lit originals - flashes of art enthusiasts' silhouettes blurring by the old window panes. I could not wait to be inside. Wine glasses clinking and lovely nibbles from fancy trays moved about. When art can make you teary you know you have found an Artist worth collecting. Dominique Fortin is one of those Canadians with exceptional, unique talent. I love her work. The evening was a spectacular - warm and inviting event; The Vernissage. You may wonder about this word and its historical context within the art world. There is a comparable ceremonial ending of art exhibitions, called a finissage. Larger art exhibitions also may have an event at half time of the exhibition called a midissage. These latter terms are rare in English; they are more commonly used in German but not in French. 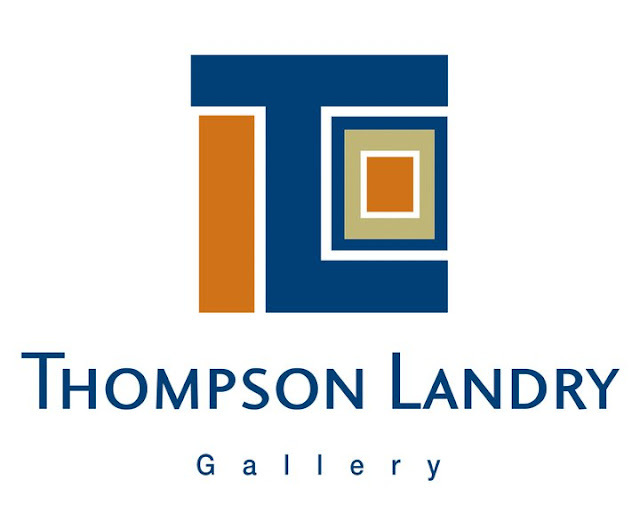 Opened in March of 2006, the Thompson Landry Gallery is one of the newest additions to the arts community at the Historic Distillery District. Pioneering new ground for galleries in Toronto, the Thompson Landry Gallery showcases both the very best of the new generation of contemporary artists, as well as the great masters of Quebec. Housed in a beautiful 2700 square foot space in the Stone Distillery Building, it is the only gallery in Toronto specializing purely in Quebec artists and sculptors. The fourteen foot limestone walls, of the Stone Distillery create a distinctive backdrop for the striking large scale works of their internationally acclaimed contemporary artists. The impressive collection of the great masters, are housed in a room of their own. They are displayed in such a manner as though they have always belonged there. Using the historical artefacts in the space to create a unique ambiance, the Thompson Landry Gallery sets a new standard in achieving a warm and inviting atmosphere for their clients. 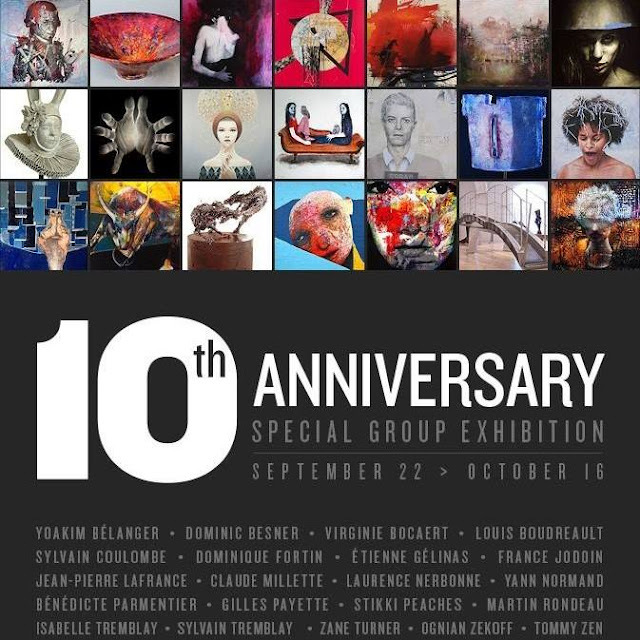 Thanks to the gallery for inviting me to this special group exhibition. I hope everyone gets a chance to visit soon. It is a thrilling, friendly and wondrous place to be. A magical moment of celebration - 10th Anniversary - was the live painting on this black canvas. An Artist smudged what seemed to be vaseline and tossed what seemed to be coconut (?) to reveal this famous face! Great applause, smiles and laughter followed. Nearly 10 years ago a small group of visionary developers had a dream for Toronto. They looked at a derelict collection of Victorian Industrial buildings that had been pronounced a national historic site and imagined transforming it. Not into another “historic district” or “pioneer village” but into something exciting and unique. Something the city would be proud of. They wanted to create a place that would excite and inspire the senses. Where people could experience new ideas, new foods, new designs and new ways of living and working. The result is nothing short of perfection. As the Toronto Star says: “To enter The Distillery is to step back into an era of horse-drawn carts, windmills and sailing ships”. One can only marvel at the authentic exterior restoration that was achieved. But it is when you step inside the buildings that you truly realize the magnitude of what was accomplished. What you will find is a dramatic fusion of old and new. An inspired blend of Victorian Industrial architecture and stunning 21st century design and creativity. The result is an internationally acclaimed village of one-of-a-kind stores, shops, galleries, studios, restaurants, cafes, theatres and more. The Distillery Historic District opened in 2003 and today it is widely regarded as Canada’s premier arts, culture and entertainment destination. A place brimming with creativity and creative people, that can inspire dreams, and a place that can help them come true. 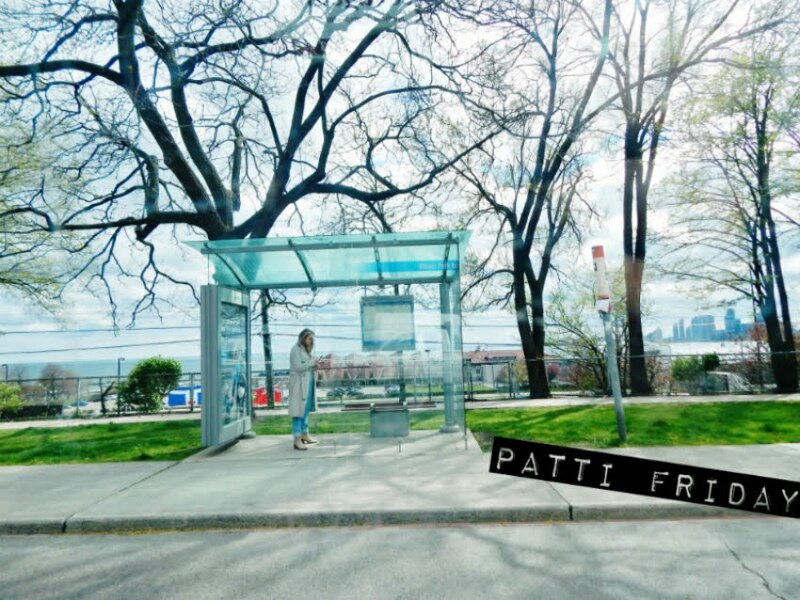 Patti Friday Copyright 2016 . Simple theme. Powered by Blogger.